After visiting Bicester Village in Oxford on the weekend, I have to say one of my favourite stores was Marni. The fact that it wasn't full of people (we went on a Saturday morning not wise!) made it more appealing. Their original designs incorporate varying prints and shapes which really stood out for me against all the other designer shops. 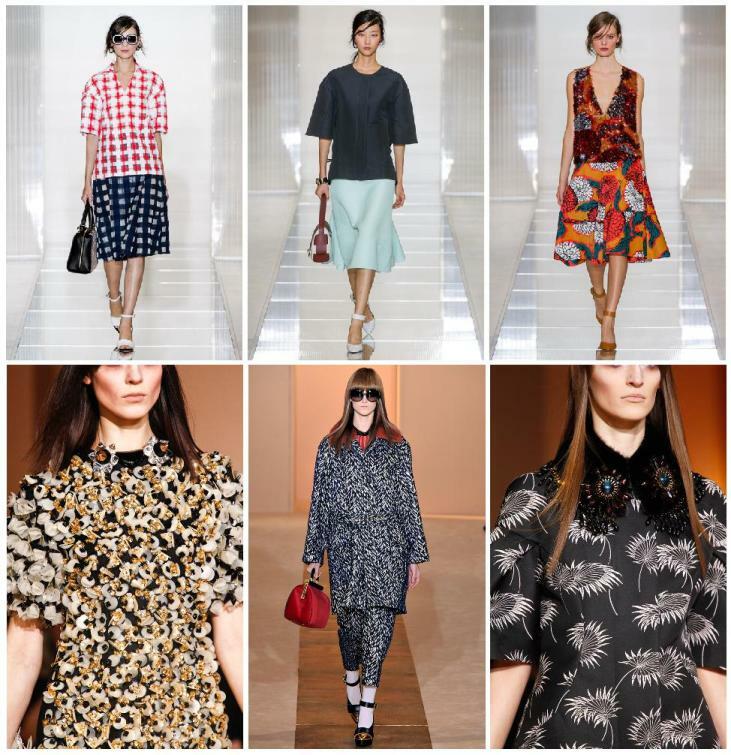 Here are some key looks that I like from their Spring RTW 2013 Collection, and their Fall RTW 2012 Collection. I'm going to go eBay hunting for my own piece of marvellous Marni!